Anne-Sophie Redisch teases out why Lebanon is at the top of her go list. 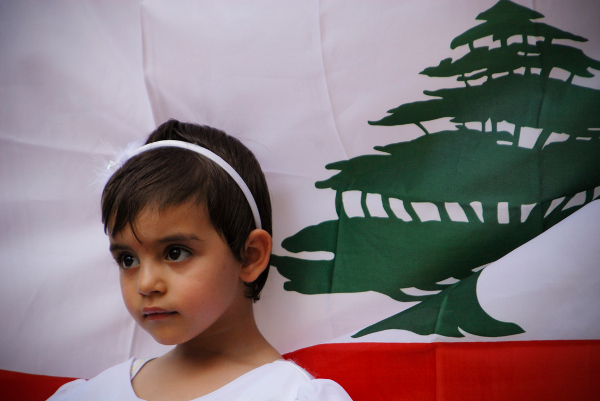 When I was growing up, civil war raged in Lebanon. We read in newspapers about Christians, Shi’ites, and Sunnis killing each other, foreigners being kidnapped, horror stories from the refugee camps at Sabra and Shatila. Several of my schoolmates went on to join the UN peacekeeping forces in Lebanon. Before going, many associated the Lebanese — or all Arabs, really — with trigger-happy warmongers and terrorists (the press was just as skewed in the ’80s, remember?). But, without exception, they came back with a new understanding and completely altered views, proclaiming great affection for the people of Lebanon. Later, most of my college friends in the U.S. were from the Middle East — some were Lebanese. It’s been years — more than 20 — but I still remember their exuberance and optimism. Despite having to constantly worry about friends and families back home, they managed to remain down-to-earth and lighthearted. 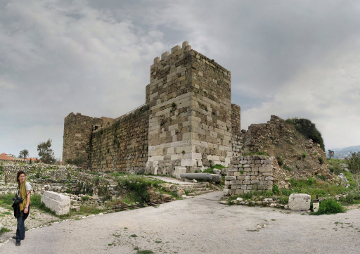 I love archaeology and ancient history, and Lebanon has plenty to offer. More than 7,000 years old, the urban centers of Byblos and Tyre are among the oldest continuously inhabited cities in the world, home once to the prosperous, seafaring Phoenicians. Like Matadorians, the ancient people of Lebanon were enthusiastic travelers. The tiny country (about the size of Connecticut), has 5 properties inscribed in UNESCO’s World Heritage books. In addition to Tyre and Byblos, these include the Roman ruins at Baalbek in the Bekaa Valley, the monasteries of the holy valley Quadi Qadisha, and the ancient city Anjar. I’d love to take my time and explore all of them. 3. It’s peaceful. At the moment. Friends who have just returned from Lebanon are dumbstruck by this, Europeans and Americans alike. They feel safer in Beirut than in most Western cities. Also, the travel warning didn’t stop the New York Times from awarding Beirut top billing among the top 44 places to go in 2009. Since I’m not a U.S. citizen, I look at my country’s travel advisory instead. The Ministry of Foreign Affairs simply recommends that Norwegian citizens in Lebanon exercise caution. I can do that. If I want the safety of traveling in a group, numerous operators run tours in Lebanon, including Voyages Jules Verne, Audley, and Patrick Syder. However, there’s no denying the situation is fragile. Since the end of the civil war in 1990, Lebanon has had its share of conflicts, including the short-lived yet devastating war with Israel in 2006. Best to see this ancient land now while it’s peaceful. Right now is Lebanon’s time. 4. The food. And the wine. I adore Arabic food, especially street food. Can’t wait to try the local hummus, maftoul, tabouleh, a piece of sticky baklava. Yogurt, which I normally find bland and uninspiring, is a completely different food in the Arabic world. Garnished with olive oil and sea salt, the strained yogurt known as lebneh is delicious. 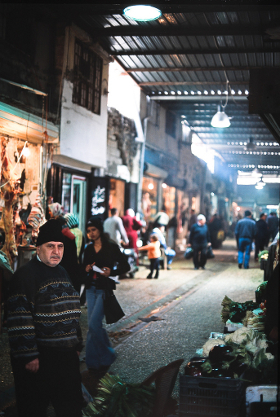 I look forward to strolling around Souk El Tayeb, Beirut’s first farmers market, and eating at Tawlet, the market’s open kitchen — where Christian, Sunni, and Shi’ite farmers serve in turns. I’d also like to sample a glass or three of Cabernet Sauvignon from the sunny hills of the Bekaa Valley — perhaps from Château Ksara or Château Kefraya. I may even try the local arak. Appropriate somehow, as this valley is home to the Temple of Bacchus, god of wine and intoxication. Being in the mountains in the morning, skiing down the slopes of Mount Lebanon if I wish, then popping down to the beach for a Mediterranean swim in the afternoon — sounds fabulous. 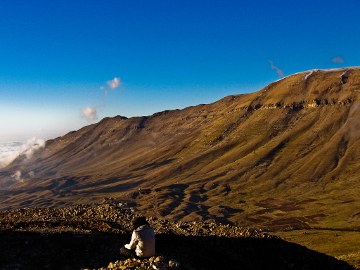 I hail from a mountainous country and would probably feel right at home amidst Lebanon’s mountain scenery. I could hike or bike the Lebanon Mountain Trail, or even trace the Baskinta Literary Trail, touring numerous landmarks related to Lebanese poets and novelists along the way. What a wonderful way to fuse nature and culture. Ultimately, I just like the Middle East. I’ve visited Egypt, Jordan, Palestine, Israel, and Syria — all the countries in the neighborhood. And I speak some Arabic, enough to make myself understood. But it’s been years, so just in case, I might bring a copy of Useful Arabic Phrases for Travelers. Writing this, I can’t think why I haven’t already been. In fact, I think I’ll book a ticket right now. Sophie’s good to go. If you are too, check out 3 Secrets To Planning Your Next Big Adventure.